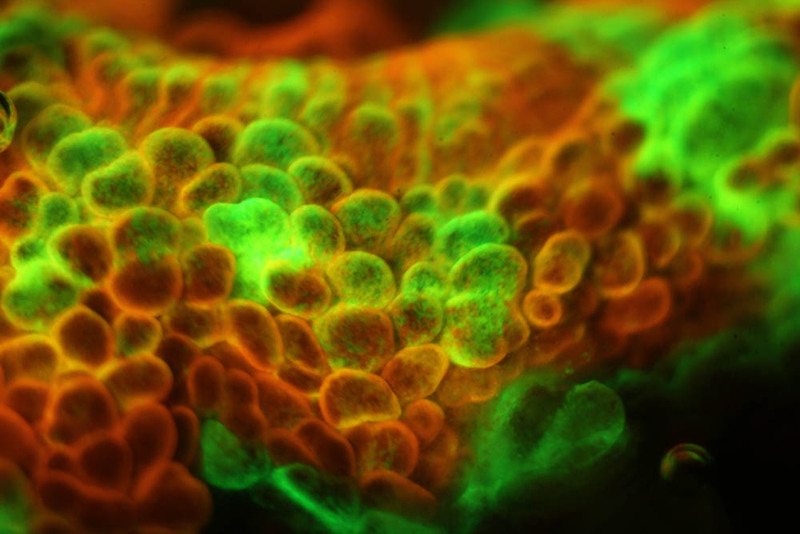 NIGHTSEA founder Dr. Charles Mazel made a presentation on coral fluorescence at the 2014 MACNA conference. 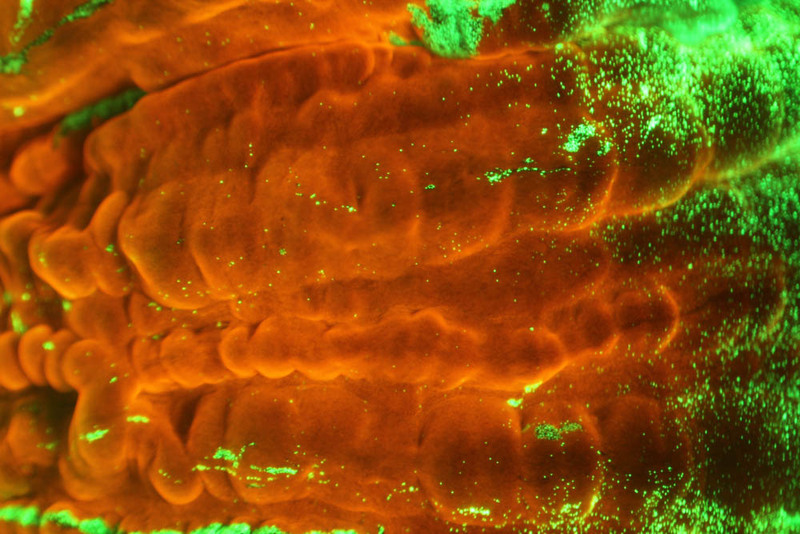 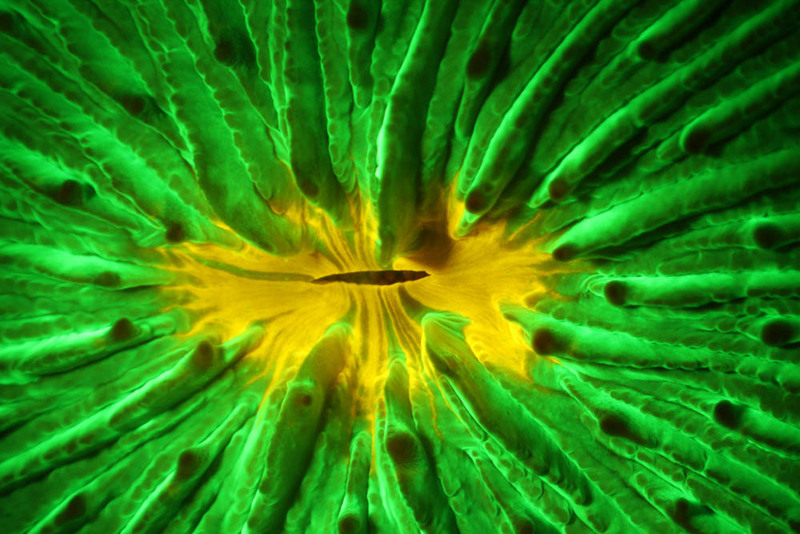 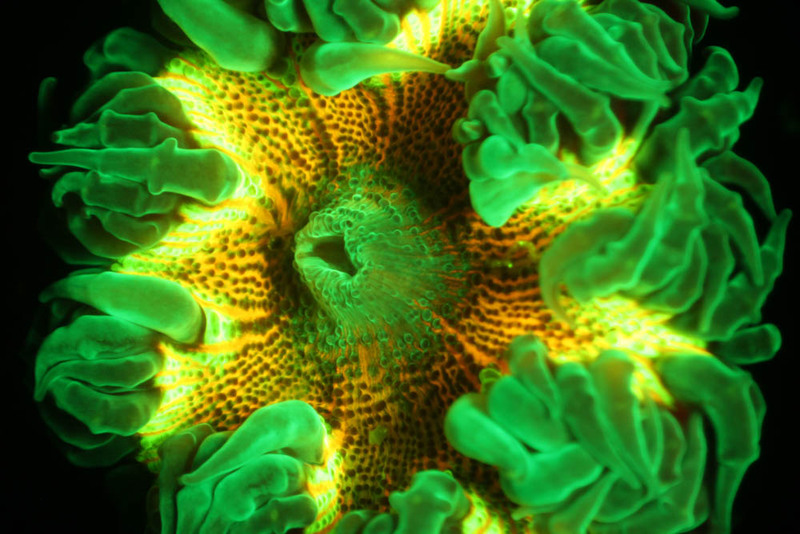 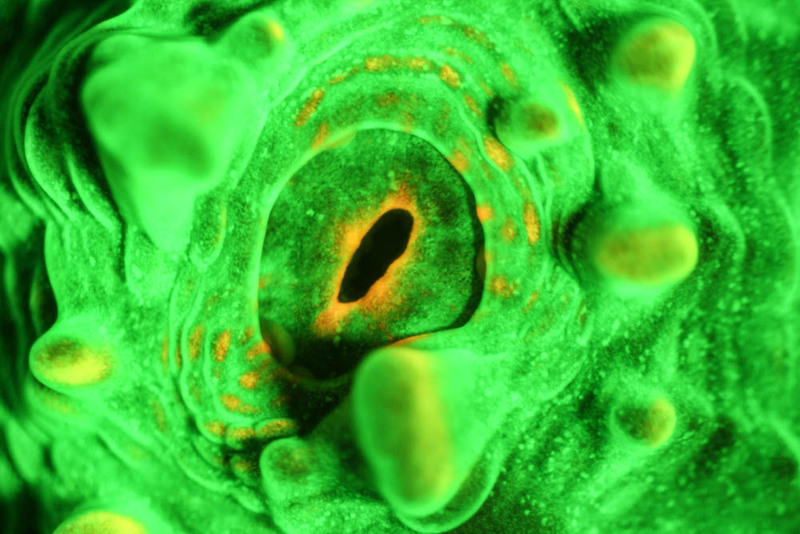 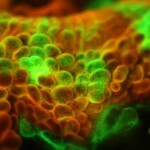 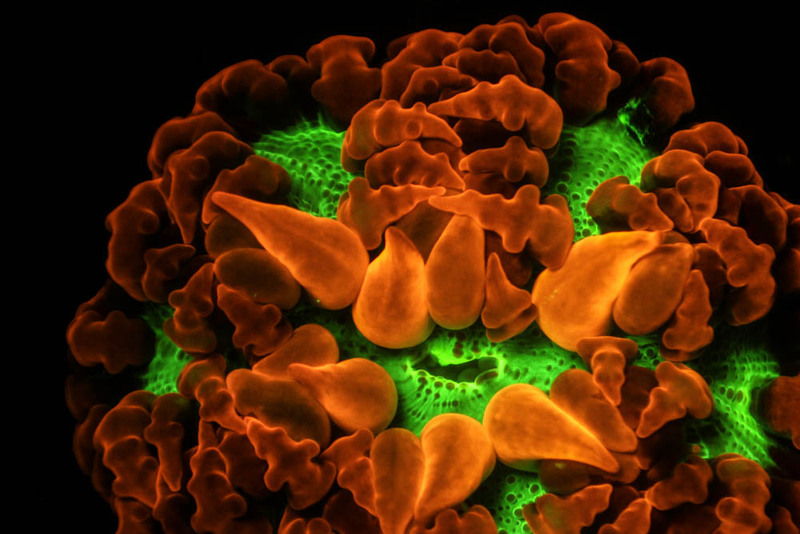 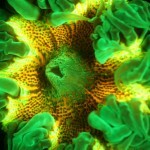 While at the meeting Charlie set up his stereo microscope with the Stereo Microscope Fluorescence Adapter in the exhibit hall and borrowed fluorescent corals and anemones from some of the exhibitors. 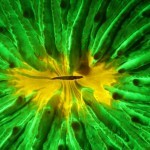 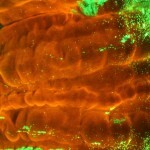 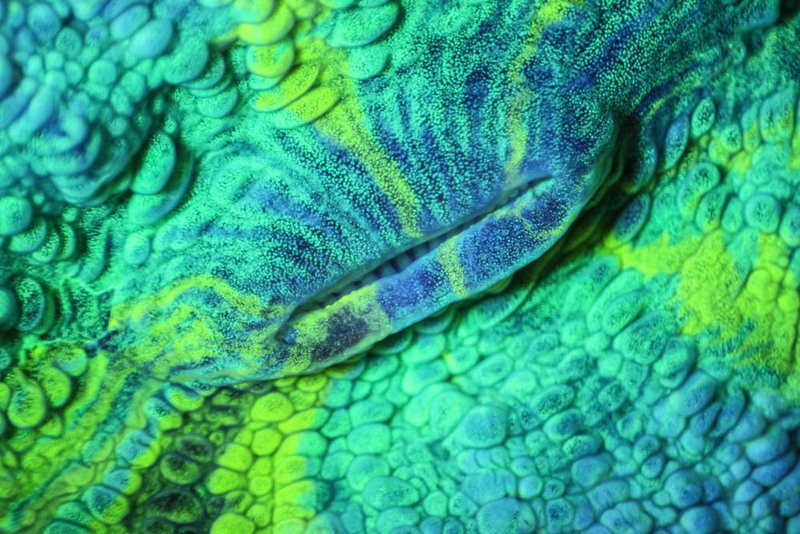 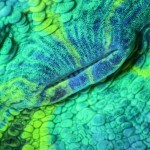 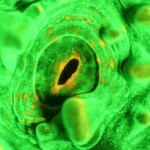 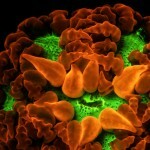 He shared the close-up view with anyone who was interested and also took some photos through the microscope.